Overall size 11x12.5 wall mount picture frame fits an 8x10 photo. 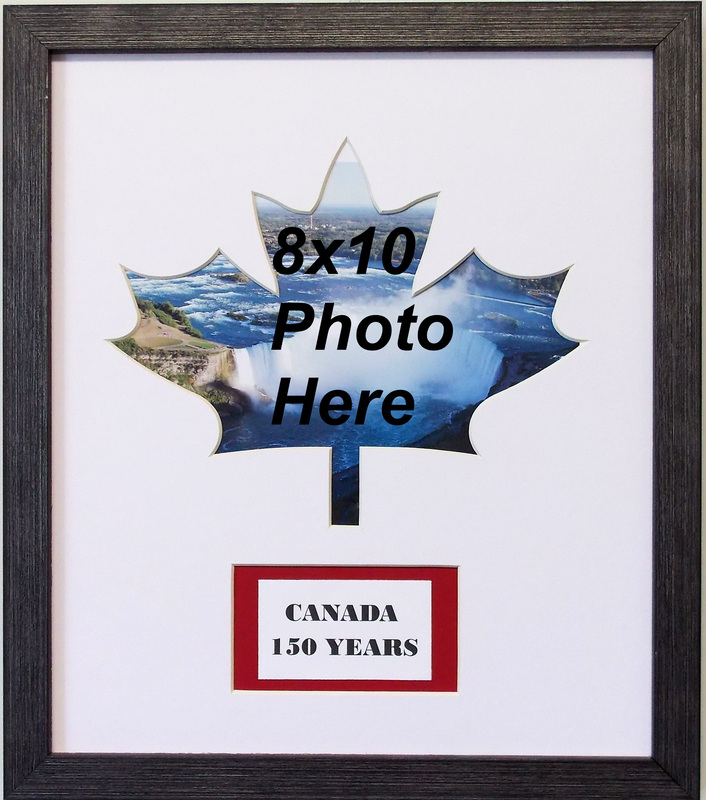 Custom picture frame includes a red mat with a cut out of a Maple Leaf which includes beveled edges.NO DIE CUTTING! White wood frame has easy access from back for attaching your photo. Included is photo mount board, photo hinging tape, glass front and wall hanging system.